Zoho Invoice for those who travel light. 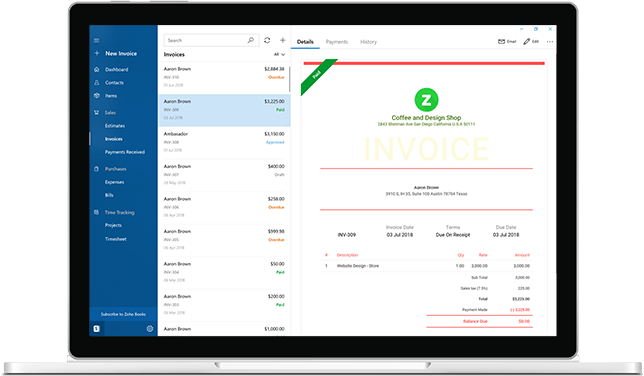 Keep up with your business with Zoho Invoice mobile apps, even when you are on the go. 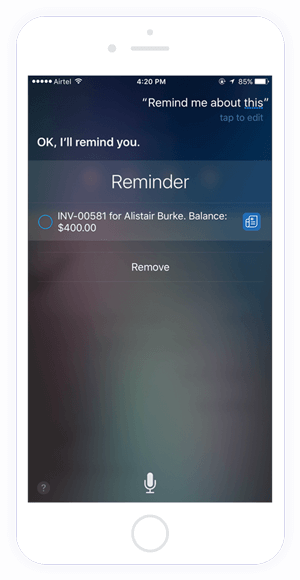 Set reminders for your transactions using Siri contextual reminders. Track time for your projects effortlessly using the Timer widget in Today extension. You can now be assured that all your financial information is secure with the Touch ID pass code verification. "This app is excellent! It has changed the way we manage our business." "Super simple and clean interface. Perfect for my needs as a freelancer. Highly recommended." "If you come from a background of big companies with big billing departments you'll almost find it amusing to realize how much money you were wasting. This simple program does well what dozens did poorly and provides the data I need to run my practice." 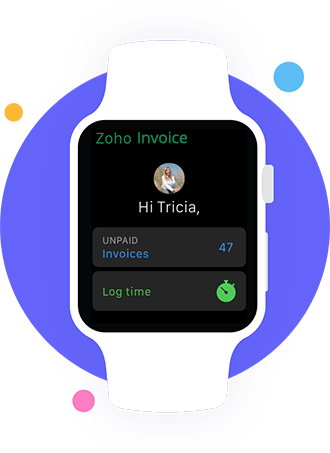 Add Zoho Invoice widget to your Android app's home screen and quickly create invoices, expenses and log time. 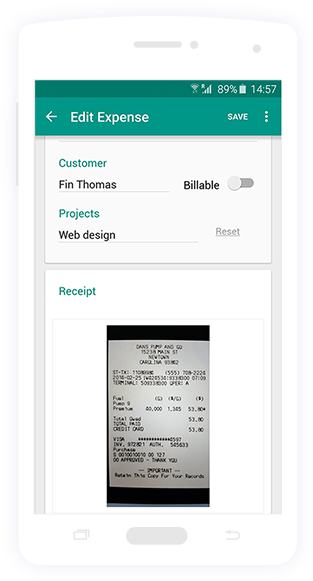 Snap a picture of your expense receipts from your phone and attach it to the expenses you've recorded. Why log out and log in everytime? 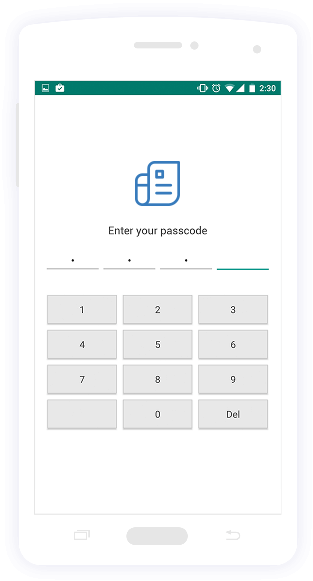 Create a passcode lock for your app and log in quickly. Run reports in a single tap to see how well your business. See how much you've made and the expenses you've incurred. "Love this app!! 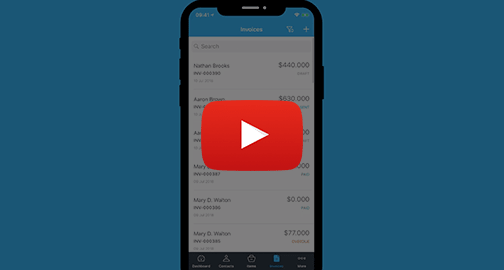 I've been using this app for a few years, and I love the ease and convenience of generating professional invoices on the go via my phone or tablet." "Just what I needed! Very intuitive and flexible. It was very easy to get started and learn how it works right away!" "It has everything. You can even automate thank you replies when a payment is entered! Wow! Just awesome and intuitive using the latest material design from Google! Absolutely perfect!" 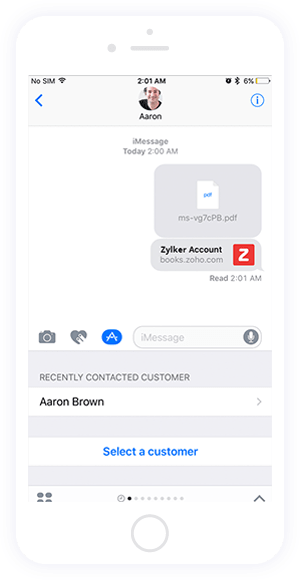 Create and send invoices to your customers in just a tap. Record payments as soon as they pay you. Track your reimbursable expenses effortlessly. 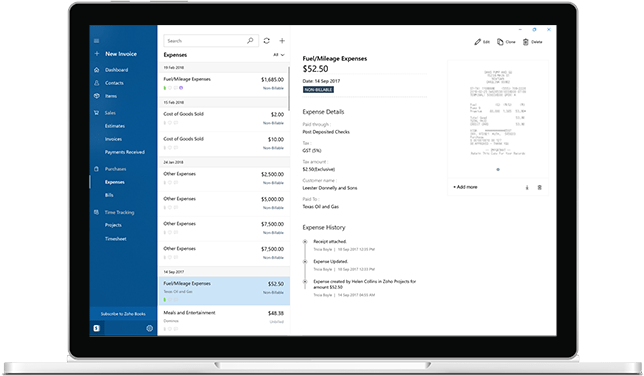 Snap and attach images of expense receipts and bill it to your clients. All it takes is a single glance at the dashboard to know how your business is doing. Track time and tasks for your projects easily by logging the time you spent on a task or by simply switching on the timer. 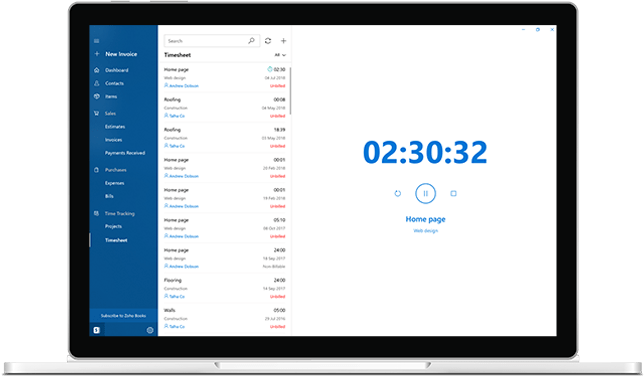 Invoice App that lets you send invoices in seconds. 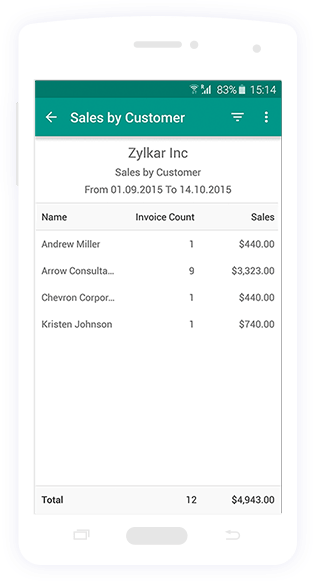 Zoho Invoice mobile app is a supplement to the web based Zoho Invoice application. 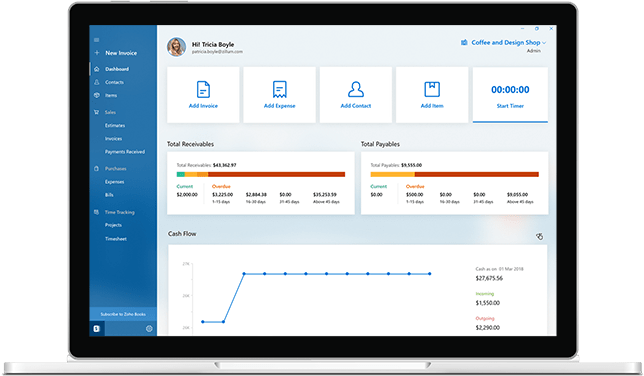 If you already have an account with Zoho Invoice, you can download the app for free, sign in to your Zoho Invoice account and carry on with your invoicing. 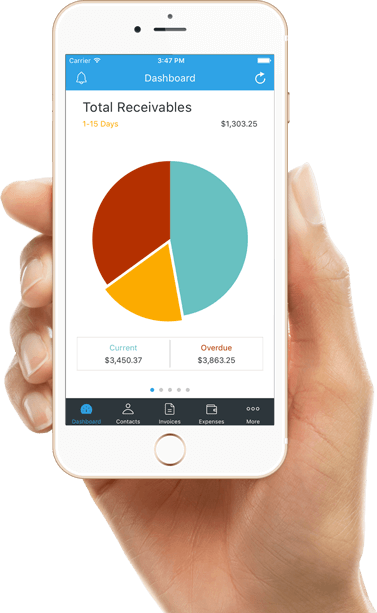 Yes, you can track time spent on a project and bill your clients from within the invoice app. 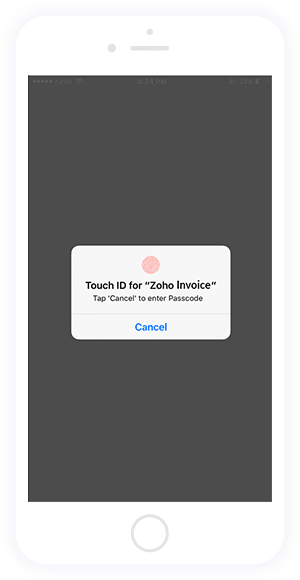 Yes, Zoho Invoice mobile apps support transaction in multiple currencies.